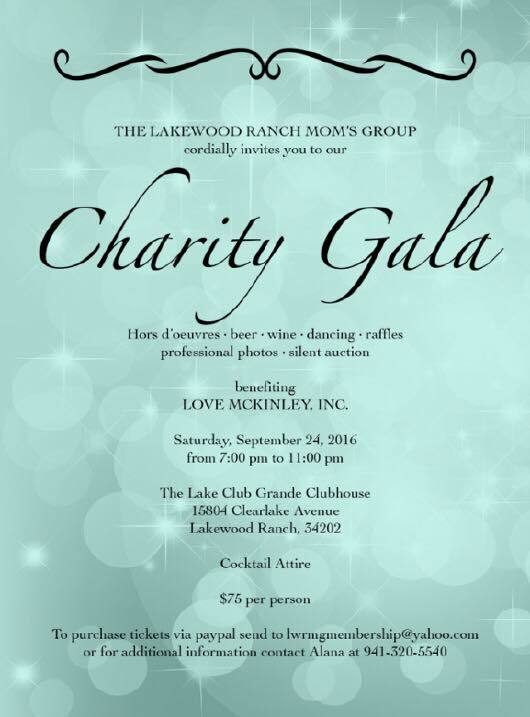 Charity Gala | Lakewood Ranch Moms Group, Inc.
Tickets for the gala benefiting this years charity Love McKinley! are on sale NOW! Food, beer, wine and a good time are included in the cost of tickets! There will be a DJ, amazing auction items, a raffle and football will be on. Not to mention 100% of the proceeds will go to the Love McKinley charity to benefit children battling cancer and their families. Hope to see you there!